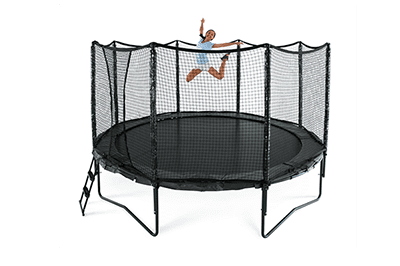 Shop Our Best Deals on Trampolines! 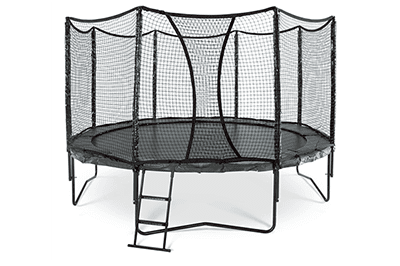 JumpSport Elite is the highest quality, lowest price trampoline with enclosure for 7-10 years of safe use on the market. Designed with some of the advanced features of our AlleyOOP models and the cost-saving elements of our Classic models, it’s a safe and secure place for the whole family to get fit. 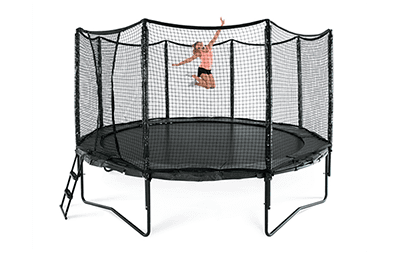 AlleyOOP Sports is simply the best in design, materials and bounce while offering the one of the highest quality and safest trampoline enclosures available today. AlleyOOP means backyard safety, quality, fun and fitness for the entire family. AlleyOOP Trampolines are considered some of the industry’s safest trampolines for a number of reasons. They are made of strong, quality materials and are designed with features and trampoline accessories that ensure safety. 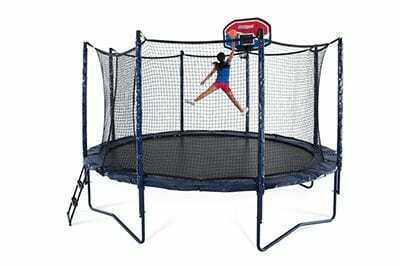 An AlleyOOP trampoline has variable bounce technology, which helps absorb the shock when bouncing. You can also upgrade to Powerbounce, which helps even more. This helps put less stress on the jumper’s knees and joints. 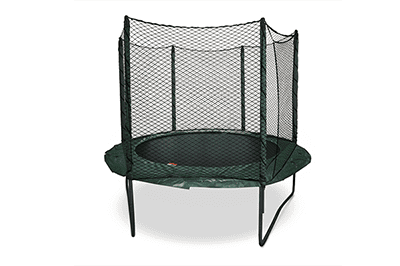 This makes the Alleyoop Trampoline a great option for all members of the family who want to play or want something to complement their backyard swingsets! AlleyOOP trampolines also have a number of trampoline accessories and add-ons which enhance safety and increase the fun. Here at Play N’ Learn, we have years of experience choosing and installing trampolines and backyard swingsets for a variety of families. Call us today, visit one of our locations, or use the live chat feature to talk with us today!